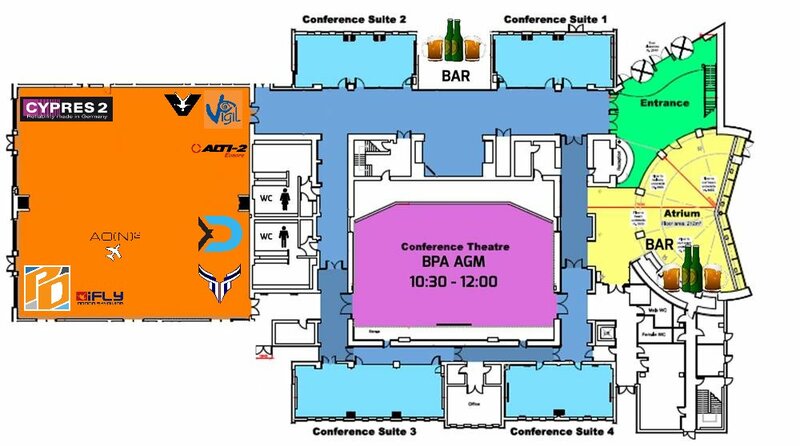 This year will be our fifth year in a row at BPA Skydive the Expo with our signature freebies, demo and stock items, and friendly staff ready to help you out at our stall. The main reason skydivers spend a weekend away from a DZ; get stocked up for the season by helping yourself to pull-ups from our table, if you can find them among all the packets of sweets also up for grabs. 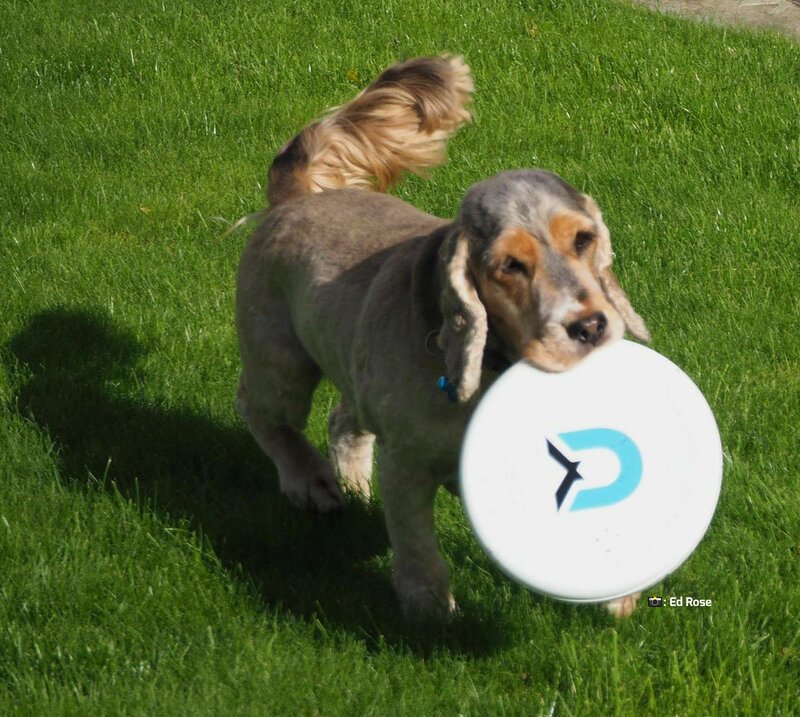 Again this year, we have our XD frisbees, ideal for those bad weather days, or when you're waiting between loads. 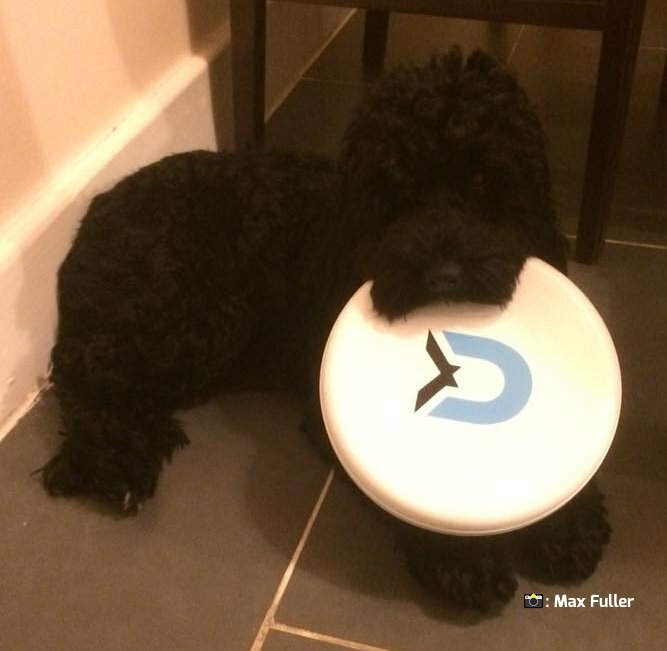 Monty and Enzo are big fans of their favourite free frisbees, as you can see. We'll still have other manufacturers and stock with us, but they may not be discounted. The 10% discount will run on our website from midday Monday 21st Jan - midday Monday 28th Jan. This gives you the opportunity to order online before the Expo to collect at the event (last orders by Thursday 24th). You can also order for home delivery as normal with the discount applied during this time. The Expo discount will be applied automatically on our website at checkout. Our branded banners, tablecloth, and staff shirts should give us away, but take a look at the floor plan above which shows where we're located, as well as some of the other stalls you may be interested in visiting too (plus the bars!). Our stall is in the main exhibition hall; turn left once you come through the main entrance to the hall and we're the second to last stall on the left hand side wall. Join our Facebook event to get the latest news and offers during the lead up to the event.